Hidition NT-6: The Viento-R is closest to the NT-6 with both switches in the up position, with quite similar presentation perspectives and similar bass quantities. The VR is slightly more open sounding with a slightly more distant presentation, especially in the upper midrange. The soundstage of the VR has better clarity due to a better focus within the soundstage leading to better transparency and more defined imaging, if just by a bit. 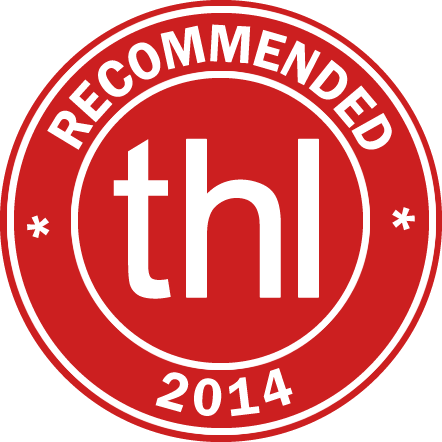 Detail levels are close, but the NT-6 slightly outperforms. Performance is about equal, but each has their own slight victories, such as the NT-6 presenting a hair more detail and resolution, having better coherence, and dynamics while the VR displayed slightly better clarity and transparency. Detail articulation is slightly higher from the NT-6, which has a more analytical note on average. Bass of the NT-6 has better capability, which shows in bass-heavy tracks, pushing the quantity higher than the VR, even with the bass switch in the up position. This leads to the VR having more bass than the NT-6 when playing tracks with relatively quiet bass lines while the NT-6 has more prominent bass with bass heavy tracks. The VR is slightly warmer with the switch down, and the difference increases with the switch in the up position. The midranges are quite similar, but the upper midrange of the NT-6 is a bit more forward and prominent, changing the tonality and feel of the presentation slightly. Imaging is about the same, and the differences come down to the note presentation and frequency response differences. Treble isn’t too far off, but the NT-6 has a bit more prominence while the VR treble is slightly more natural and smoother. Choosing between the Hidition NT-6 and Viento-R is a difficult decision as they both are similar and offer slightly different strengths. The NT-6 performance is more detailed and has better low end capability with a more analytical sound while the VR is slightly smoother and more natural, more open and spacious, and has switches that slightly change the tonal balance. Both are amazing, and it comes down to your preferences. Hidition NT-6 Pro: The NT-6 Pro’s emphasis at both ends is apparent in direct comparison with the more spacious Viento-R, even with the VR’s bass switch set to boost. While the NT6P and VR share a similar presentation, the VR sounds more open and has a very slightly larger presentation space with better focus within the soundstage and similar imaging. Notes are similar, but the VR has a slightly more natural overall ADSR that makes notes a bit less offensive when they aren’t of great quality. Detail levels of the NT6P is slightly higher, as is articulation that leads to an ever so slight clarity advantage despite the better soundstage focus of the VR. The NT6P is slightly more dynamic while the VR has a bit better coherence and transparency is similar. The deep bass of the NT6P is more emphasized, more capable of sustaining notes, and has a tighter, more revealing overall sound while the VR is warmer. The midranges are close, but the slightly more open sounding VR’s focus advantage and more natural note ADSR leads to a more natural experience compared with the analytical NT6P that has higher detail levels and better detail resolution. The upper midrange isn’t too far off between the two, but the treble is divergent as the NT6P has more emphasis. The enhanced treble of the NT-6 pro can sound unnatural in comparison to the Viento-R, which is more forgiving and overall tonality of the VR is more realistic. If you are looking for ultimate performance and want the fun sound of boosted deep bass and upper treble, the Hidition NT-6 Pro is hard to beat, as it also reveals all the details within your music. The Hidition Viento-R is similar, but offers a bit more natural sound with slightly less capability, but offers the ability to change the tonality/presentation with switches. If you want close to NT6P performance, but don’t want an analytical sound, the VR is a great choice. Lear LCM BD4.2: The Viento-R and LCM BD4.2 have somewhat similar tonality but different presentation styles. The comparison was done with the bass switch of the VR up and the BD4.2 bass set to 2 o’clock. Both have an openness to them, but the BD4.2 presentation perspective is more distant with an overall more spacious feel. Proportions are similar, but the BD4.2 has slightly more depth and images better compared with the width while the VR has better focus within the soundstage. The average note of the VR isn’t as thick as the BD4.2 note, with a quicker attack and release resulting in a slightly more aggressive sound. The BD4.2 has a slight resolution advantage within the soundstage, but detail levels are close and the better articulation of the VR can give the sense of more detail. Coherence and transparency are about on par while dynamic range of the BD4.2 is a bit better. Bass of the VR is faster and punchier with a more precise feel but the BD4.2 has much better note sustainment capability. The smoother LCM BD4.2 is warmer with a thicker overall sound through the more laid-back midrange. Upper midrange of the VR is a bit more prominent, but has similar integration within the rest of the frequency spectrum. The treble of the VR is also slightly more prominent, but the BD4.2 notes exhibit a more natural decay. 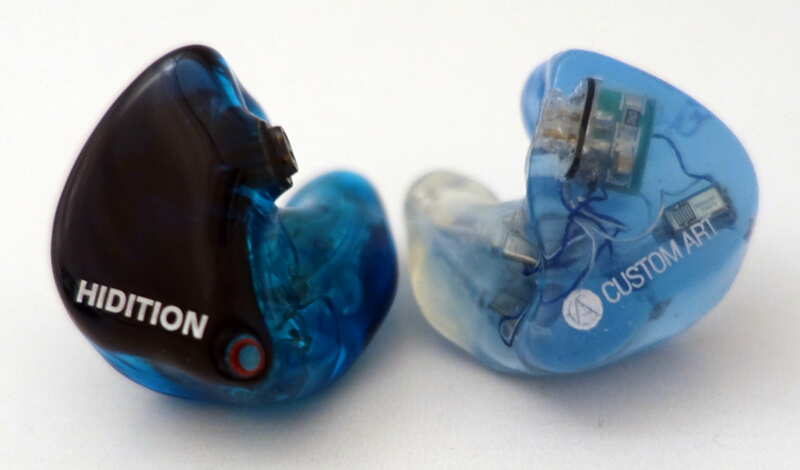 Ultimate Ears In-Ear Reference Monitors: The Viento-R is closest to the In-Ear Reference Monitor with both switches in the down position. Spatially the VR and IERM have similar presentation perspectives, but the VR is more open sounding and has a larger presentation space. Imaging of the VR is more precise and the resolution within the soundstage is greater, revealing more detail resulting in a better focus. The note presentation of the VR is more natural, especially in the treble region where the IERM has a sharp bite. The VR is more dynamic and impactful with better coherence and transparency to compliment the superior clarity. The bass quantity, including warmth, is similar, except the VR has much better note sustainment, resulting in more reverberant bass notes being more prominent from the VR. The midranges are presented from a similar perspective, but the VR offers a clearer window into the music. 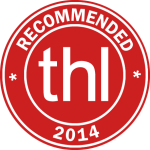 The upper midrange of the IERM is slightly more forward than that of the VR resulting in a brighter tonality. Treble is more prominent with the IERM, but the quality of the VR treble note is significantly more natural due to more accurate note sustainment and release. 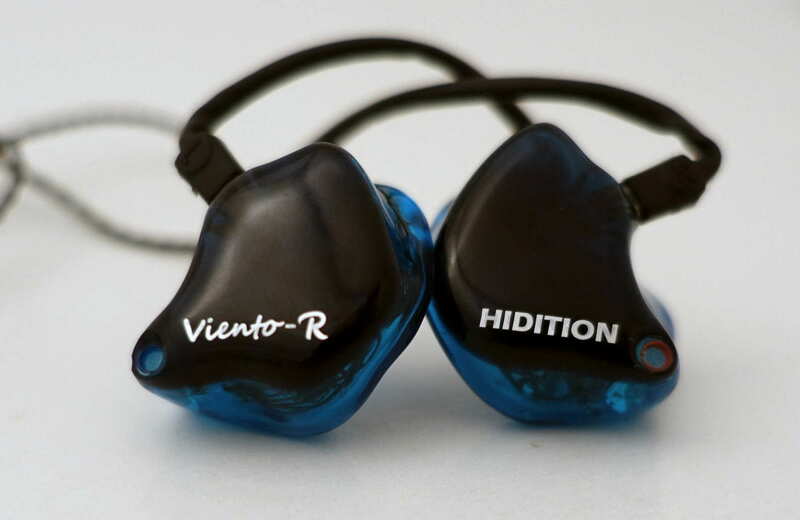 While the Ultimate Ears In-Ear Reference Monitors are nice for studio use or critical listening, the Hidition Viento-R offers so much more, with better detail, clarity, and capability. Add the ability to adjust the sound for preference, and the value improves. The IERM is a better choice for ease of purchase through a network of resellers, but the VR will offer rewards for the purchase. Spiral Ear SE 5-way Reference: The Viento-R is closest to the SE 5-way Reference with both switches in the up position. Spatially, the two are quite similar with the VR midrange switch in the up position, but the VR is a bit more forward with a bit larger overall size and a little more air. With the midrange switch in the down position, the VR is more laid-back and a bit more spacious. Note ADSR between the two is close, but the SE5 adjusts more with each track while the VR has a faster and cleaner leading edge. Detail levels and resolution are ultimately higher on the SE5, but the VR articulates the detail more, making it easier to hear. Coherence is close, but the SE5 is slightly ahead while the VR is a bit clearer. Bass quantity of the SE5 is similar with neutral tracks, but when a song has a lot of bass, the SE5’s greater capability shows with more oomph. Quality of the VR is slightly better, as the notes are tighter, but the SE5 has a bit better texturing. The midranges are close in presentation, but the differences in note presentation makes for a different experience with the VR bringing the intimate details to the forefront while the SE5 is more focused on recreating the overall presentation. There is more upper midrange presence from the VR resulting in a brighter tonality for vocals while the SE5 has more treble emphasis in comparison with the upper midrange, which results in different feels depending on the track. The SE5 treble can sound great with quality tracks but is less forgiving than the VR when the treble is poor. Both have exceptional treble quality. The Hidition Viento-R and Spiral Ear SE 5-way Reference offer two different sounds that truly aren’t all that far apart in neutrality. The SE5 is warmer with a slightly higher overall technical capability, and focused on recreating the overall presentation while the VR has a brighter tonality along with creating a crystal clear window into the music, allowing details to be easily heard. These two make great compliments! Rhines Custom Monitors Stage 3: The Viento-R is closest to the Stage 3 with the bass switch up and the midrange switch down. Before I go any further into the review, there is a big difference in the quality of the treble that is accentuated with poor quality tracks. If treble quality is a big deal, the VR is the easy choice, not that the S3 is bad, but the VR is just that good! Back to the normal comparison! Spatially, the VR has a larger overall soundstage size and is a bit more laid-back and airy, with better imaging and soundstage coherence. The VR is more detailed, has better resolution, dynamics, transparency, and coherence across the frequency response. Clarity and imaging are closer, but the VR is still ahead. The notes of the S3 have an analytical feel, but are a bit thicker than the VR notes that have a more natural decay. Bass quantity is similar, but the VR holds a slight quantity advantage as well as a quality advantage while the S3 is slightly warmer. Both midranges image well and have a good focus within the soundstage, but the main difference is the size and spatial perception, as the VR is more airy and larger. Tonally, the VR is more natural as the S3 has a upper midrange peak that gives an artificial brightness in comparison. Treble quantity is similar, but quality is significantly different, with the VR treble being more detailed, having a more natural note decay, and being much less sharp and harsh. The Rhines Stage 3 and Hidition Viento-R both have “reference” sound signatures, but the VR is more refined, detailed, and has a much smoother treble region. The warmer S3 has a fun component build in that makes it musical and enjoyable while the VR is a much more precise instrument. [Sneak Peek] Custom Art Harmony 8 Pro: The Viento-R is closest to the brighter H8P with both switches in the down position. Spatially, the VR has a bit closer presentation perspective but a larger overall size, although with many songs the H8P soundstage size is close. When a lot of spatial information is present, the VR’s large space shows, although the H8P has a bit better proportions from width to depth. The VR has better focus within the soundstage, and while both offer great clarity, the razor sharp focus of the VR gives it the nod. Detail levels, resolution within the soundstage, and dynamics are better with the H8P while the VR images better. Coherence, transparency, and articulation of details are all close. Notes of the VR are a bit more natural with a bit longer average sustain than the H8P and the ADSR of the VR is slightly more capable. Bass quantity of the VR is slightly higher, but the H8P has more note sustainment capability resulting in very bass heavy tracks having more emphasis. The VR is a bit warmer and while the midranges are similar, the VR has better clarity into the soundstage and a more natural note but tonality of vocals on the H8P is a bit more realistic. The upper midrange and treble of the H8P are more emphasized resulting in a brighter overall tonality, but the biggest difference comes in the note smoothness, as the VR is quite a bit smoother and much more forgiving while retaining nearly the same level of detail. These two competitors offer similar but different sound signatures and strengths. The silicone shelled Custom Art Harmony 8 Pro from Poland is bright and more analytical with a very neutral presentation, exceptional capability, and great tonality. The Korean Hidition Viento-R also offers a presentation that is on the analytical side, but has a more natural treble note, and when combined with the extremely clear sound, it conveys detail in a polite way. Switches on the VR give it an advantage if you want to be able to adjust the sound. Both offer something special making choice between the two difficult. [divider][Sneak Peek] EarSonics EM32: The Viento-R sounds the closest to the EM32 with the bass switch on and the midrange switch off. Spatially, the EM32 presentation perspective is similar, as is the overall size of the presentation, but the focus within the soundstage is much clearer and focused from the VR while the EM32 has slightly better imaging. Detail and resolution of the VR is better, as is clarity, transparency, and coherence across the frequency spectrum. ADSR of the VR is superior, with better capability and notes are much more analytical in general compared with the thicker EM32. Bass quantity is strongly in favor of the EM32, which is capable of much longer note sustainment, but the quality of the VR bass is a good deal higher for a significantly different feel in the low end. The EM32 is much warmer, in part due to the longer sustain of the thicker notes, which carries to the warmer, smoother, and richer midrange. With a large contrast in midrange performance, the VR’s razor focus and better detail articulation reveal more instrument detail. The upper midrange of the VR starts to become more accentuated in contrast to the EM32, which has a slight dip. While the EM32 isn’t lacking in treble, the VR has much more treble presence as well as far superior note quality as the EM32 has too much of an edge. Differing quite a bit in frequency response, the EarSonics EM32 will appeal to a different crowd than the Hidition Viento-R. Those looking for smooth, warm, and powerful with an excellent musical quality and imaging will be happy with the EM32 while those that want a more analytical, clear sound should side with the VR and the excellent clarity and detail articulation. Or, get one of each for a complimentary pair of high-performing CIEMs. Source Summary: The Viento-R performs well with better lower-end equipment and scales up with higher performance gear. Source transparency allows the Viento-R to articulate differences in DACs and better amps ad space and control. Ultimately the Viento-R performs well with a wide range of sources, but you owe it to yourself to use a source better than a phone! The Hidition Viento-R custom in-ear monitors are special and earn a THL Recommendation. The brighter sound has an analytical tilt that conveys detail well, but notes remain natural from top to bottom of the frequency spectrum. The vented design gives an open, airy sound with best in class center imaging and focus within the soundstage for a clean, precise sound that is both revealing and enjoyable. The two switches allow the quantity of the bass and midrange presentation to be adjusted to personal preference, environment, or source, although the changes aren’t huge. 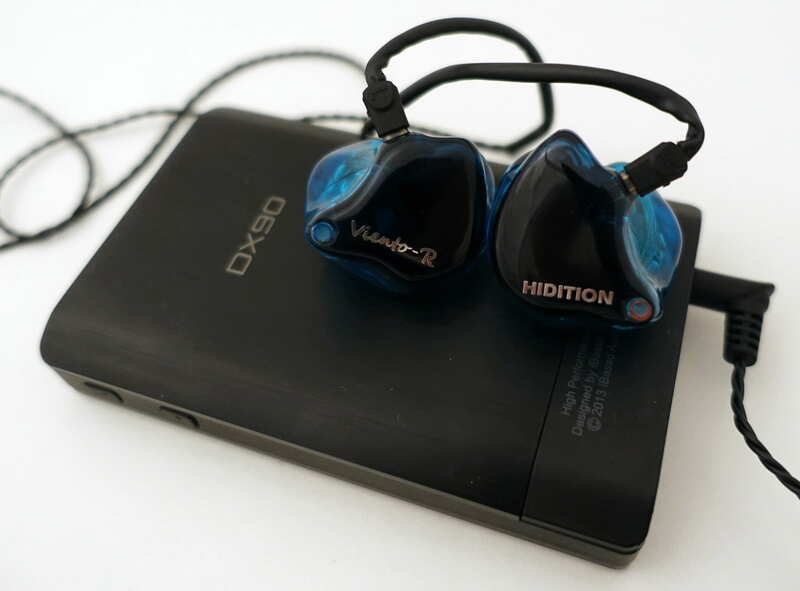 Compared to other analytical CIEMs that are on the brighter side, the Viento-R separates itself with smoother notes making it easier to listen to. Overall the Viento-R is a top of the line performer that offers exceptional performance with special characteristics.